Most folks are familiar with Khan Academy as the innovative and free online learning tool that teaches mathematical concepts to students of all ages. 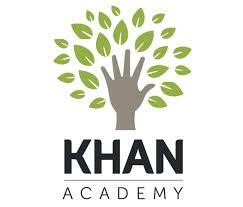 However, Khan has been rapidly expanding their team of content experts and growing the wealth of courses they offer. Now students can use the same Khan format that taught them ninth grade algebra to learn concepts in the sciences, history, computer programming and art history. Starting in 2013, Khan Academy partnered with Bank of America to begin teaching the minutiae of personal finance. As a result, the website Better Money Habits was born, and Khan expanded their library to include courses on microeconomics, entrepreneurship and capital markets. However, strong educational partnerships aren’t new for Khan Academy. Khan has also paired with NASA, MIT, The Metropolitan Museum of Art and MoMa to help bring the educational resources each institution houses to a larger audience for free. Students can log on to peruse famous works of art, or better understand space exploration. Khan has grown into something so much more than a remedial math application. They even have LeBron James asking mathematical questions that the team at Khan answers in their LeBron Asks segments. Now, Khan has ventured into the arena of test prep. Khan has once again forged a beneficial partnership - this time with the College Board - to help make today’s students college ready. The result of this collaboration is that Khan is now offering, for the first time, a free, comprehensive SAT prep course. The Khan+CollegeBoard program offers practice questions, video lessons, diagnostic quizzes, real time feedback and four official, full length practice tests. The Khan SAT prep program follows the same principles that underpin every other course offered by Khan in that it is personalized, adaptive and free. However, Khan’s test prep ventures don’t stop with the SAT. Khan Academy currently also offers free, digital resources to help students prep for the GMAT, MCAT, NCLEX-RN (nursing exam) and CAHSEE (California High School Exit Exam). Khan isn’t just focusing on standardized test prep in order to help make America’s students college ready. Khan Academy has also curated a wealth of resources to help students navigate the intricacies of college admissions. Khan Academy offers content to help students plan during their high school years for college, explore college options, navigate the application process and determine the best way to pay for college. Khan is rapidly expanding, and we are excited to see them keep disrupting the education sector by offering free, educationally sound, high quality learning resources that are accessible to anyone with internet access.